We are back for another style challenge of the HWYW. The theme is Off Shoulders. 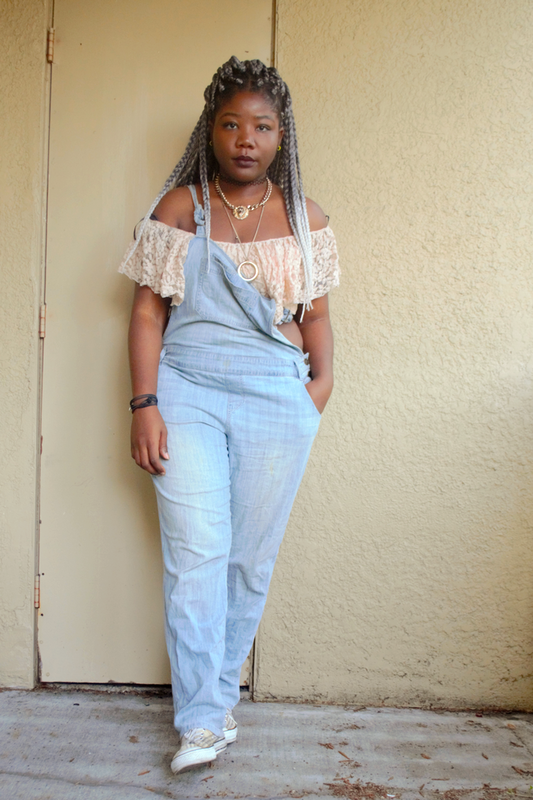 I wanted to do not the typical look like a top and pants or dress, so I paired this top with my overalls. I do like the results, what do you think? Nous sommes de retour avec un nouveau challenge HWYW. Le theme de ce mois est Off Shoulders. Je ne voulais pas de tenue typique du genre un top et pantalon ou jupe, ou robe, et donc j'ai porte ce top avec cette salopette. J'aime bien le resultat, qu'est-ce que vous en pensez? Comme d'habitude je mettrais a jour en bas les bloggeuses qui auront participe. I love your look! 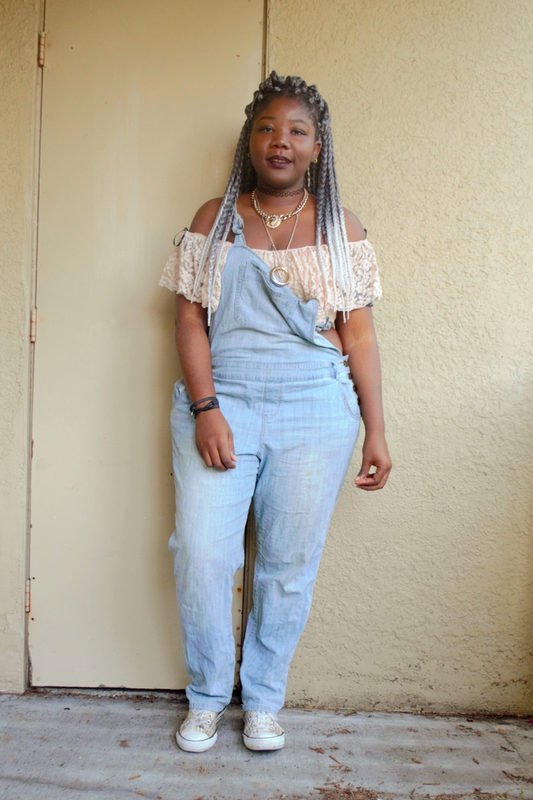 Your lace top looks good with your overalls! Oh I love it! 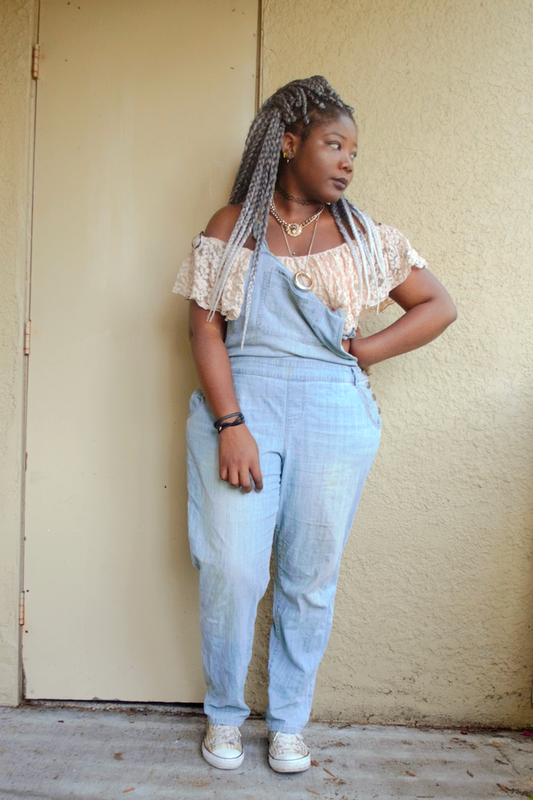 And I love the lacy top paired with the overalls and sneakers. 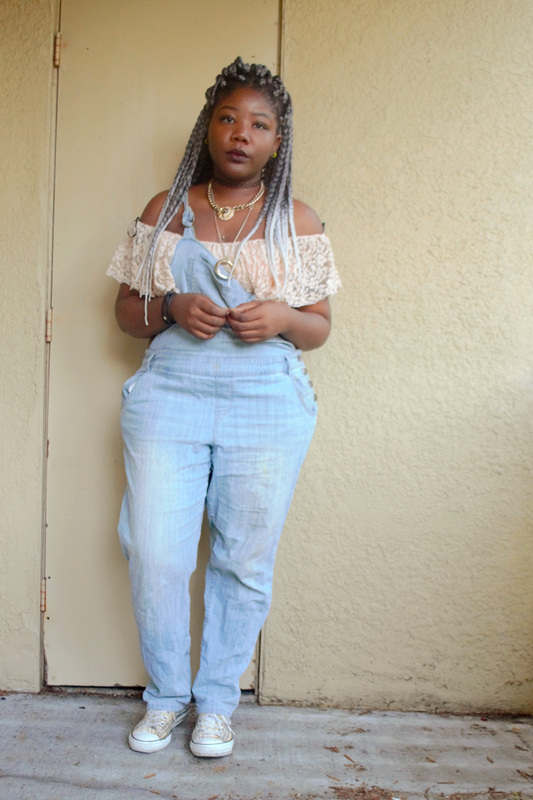 A little mix of feminine and tomboy. So freaking adorable! Aw thanks a lot Shelbee :D Glad you like it! Hey girl, I'm glad the challenge is back and equally excited to have participated this month. I love your lace off-the shoulder top, it's such a versatile item and your shoes are very cool girl. i love how you styled your off shoulder, different is always good! 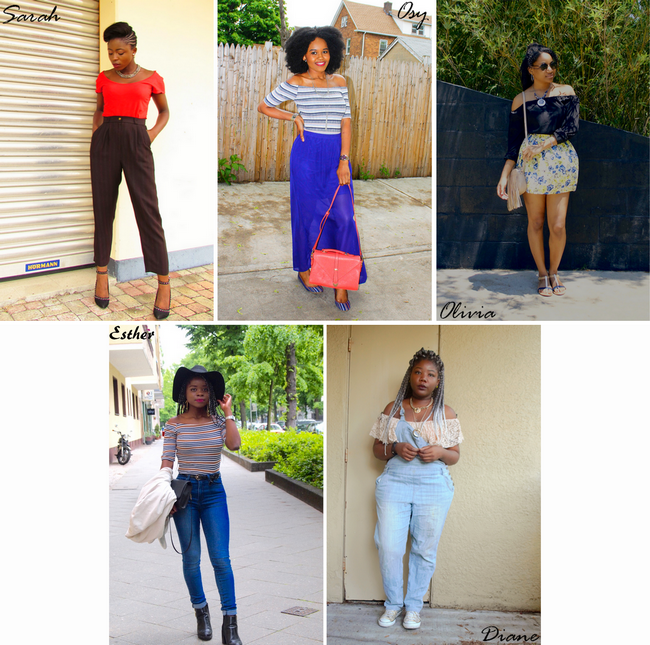 love how the other bloggers styled their outfit as well. !